After reviewing previously unpublished recordings, the famous Stanford Prison Experiment has been shown to be a hoax. 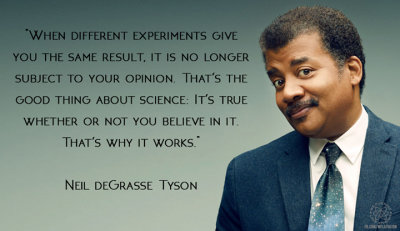 Neil deGrasse Tyson has said “The good thing about science is that it's true whether or not you believe in it.” That is the underlying foundation of the scientific method. If the findings of a study are true and accurate, once you publish your methods and conclusion, others should be able to replicate your study and have the same results. That's how science works. Other times, it's not so obvious when the results of studies have been manipulated. Such was the case with the Stanford Prison Experiment. The experiment itself is one of the most popular psychological experiments that we've all accepted as being true. Participants were divided into two groups - guards and inmates - in a fake prison to see what would happen when the average person is given authority over others. The famous study showed was cut short, because of concern for the well-being of the participants. The "guards" seemingly turned into sadists, despite knowing that the entire thing was an experiment. ... Recently, science journalist Gina Perry found that the infamous “Robbers Cave“ experiment in the 1950s — in which young boys at summer camp were essentially manipulated into joining warring factions — was a do-over from a failed previous version of an experiment, which the scientists never mentioned in an academic paper. That’s a glaring omission. It’s wrong to throw out data that refutes your hypothesis and only publicize data that supports it. I think news like this - poorly constructed studies, researchers who influenced participants' behavior, or manipulated results - demonstrates that the scientific method actually works. While the falsification of research itself is despicable, it shows that when the research is done properly, and the results are replicated time and time again, that the scientific method works. This doesn't mean that we should question everything that we consider "settled science" (the Earth is a sphere, evolution is real, etc), but that we should exercise skepticism if something sounds too good to be true or fits too perfectly with our view of the world. We would do well to think of ourselves as trying to find ways to break ideas - like a beta tester for a software program. If we take any concept or idea and carry it through to its logical conclusion, what would that look like? Would the same results happen on a small scale as well as a large scale? Finding things that are "wrong" is one of the best ways to be "right", because you're looking for points of failure. 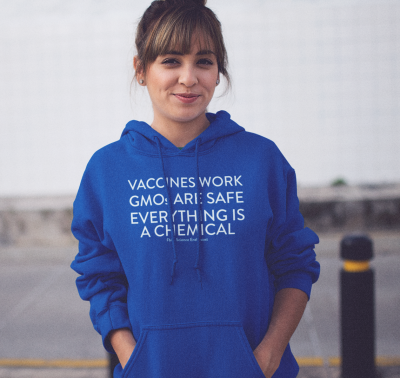 As it's been said by many others before, science doesn't work by proving things are "true" or not. Science works by looking for things that are wrong. If we're unable to find things that are wrong after repeated testing, the only logical conclusion for us is to believe that our idea is right... Until it's not.